Are you interested in becoming a Caterpillar Technician? Carolina CAT offers a college program that allows you to earn a Certificate in Heavy Equipment and Diesel. We are currently accepting applications for the Fall 2019 School Year. THIS IS A 1 YEAR COLLEGE PROGRAM-Students attend college full time at Central Piedmont Community College "CPCC" and work a paid Internship part time at one of our branch locations. Career opportunities in construction equipment, truck engine, and commercial engine fields are rewarding, challenging, and the people that can do the work are in demand. 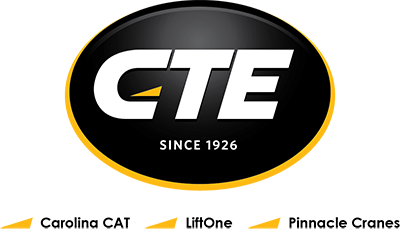 Carolina Tractor, in conjunction with the Caterpillar dealers of North and South Carolina and Florence-Darlington Technical College, has developed the Caterpillar Dealer Academy to train individuals in the specific needs of Carolina Tractor and Caterpillar. The Caterpillar Dealer Academy is a cooperative two-year college level student technician education program, which leads to an Associate’s Degree in Applied Science. As a Caterpillar Dealer Service Technician, you'll work on some of the biggest, hardest-working machines in the world. As a graduate of the Caterpillar Dealer Academy (CDA), you'll be a highly skilled, technically trained, in-demand member of the worldwide Cat dealer family. Our two-year, college-level program teaches you how to service Caterpillar equipment using cutting-edge diagnostic and maintenance systems, advanced technologies, and high-tech tools. The program combines classroom and hands-on learning. No more sitting in class wondering if you're going to use what's being taught, you'll get to use what you've learned and you'll know why it's important.